Kweku Collins continues to impress. 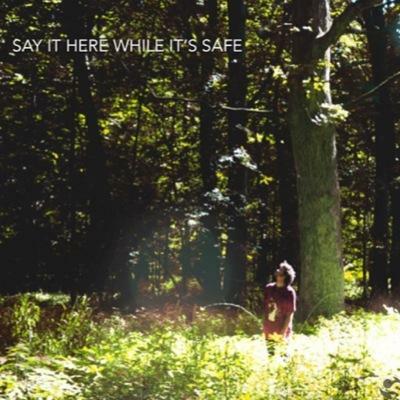 “Say It Here, While It’s Safe” EP Review. Kweku Collins opens up his story to the world with the release of his EP Say It Here, While It’s Safe. The Chicago native holds nothing back on his latest project. Be careful because Say It Here, While It’s Safe is extremely addictive! Kweku Collins has been working on his craft to make this project perfect. It starts out with the beautiful “Holla If Ya Hear Me”; it creeps through your speakers with a bouncy piano tune. Kweku’s vocals lay on top of the beat perfectly, his sing songy style dances through your ears with lyrics like “but lately life’s been going up, I’ve been smiling a lot, maybe it’s the vibe maybe it’s the pot.” He speaks to his peers telling them to holla at him if they are ever going through tough times. The EP starts out with a somber sound then it picks up quickly when it gets to the song “Never Say Die”. Kweku Collins taps into the 80’s using the quote “goonies never say die”. The drum filled song gets you moving even if you’re sitting down it getting your feet tapping right away. His vocals pick up with an echo effect during the chorus telling you to never say die. He’s letting you know no matter how hard things get never give up, it will always get better. The Chicago native has been growing his buzz ever since he signed with Closed Sessions (the same label Alex Wiley is on) a couple months ago. Kweku Collins is adding to the ever unique and creative genre that is our modern day hip hop. If you’re a fan than you already know his smooth love song “Lonely Lullabies” which is smack dab in the middle of his EP, the single was released earlier this year as “Kings” dropped a couple days ago. It’s hard to pick a favourite on Say It Here, While It’s Safe but some of our favorite songs are “Never Say Die”, “Holla If Ya Hear Me” and “Lonely Lullabies”. Just like Kweku Collins’s sound the ep has this really psychedelic feel to it. It really tells the story of Kweku but also tells the story of our generation. ← Concerts Coming To The 6! Concert Listings.